Chum Salmon Viewing at Kennedy Creek! « Chum Salmon Viewing at Kennedy Creek! 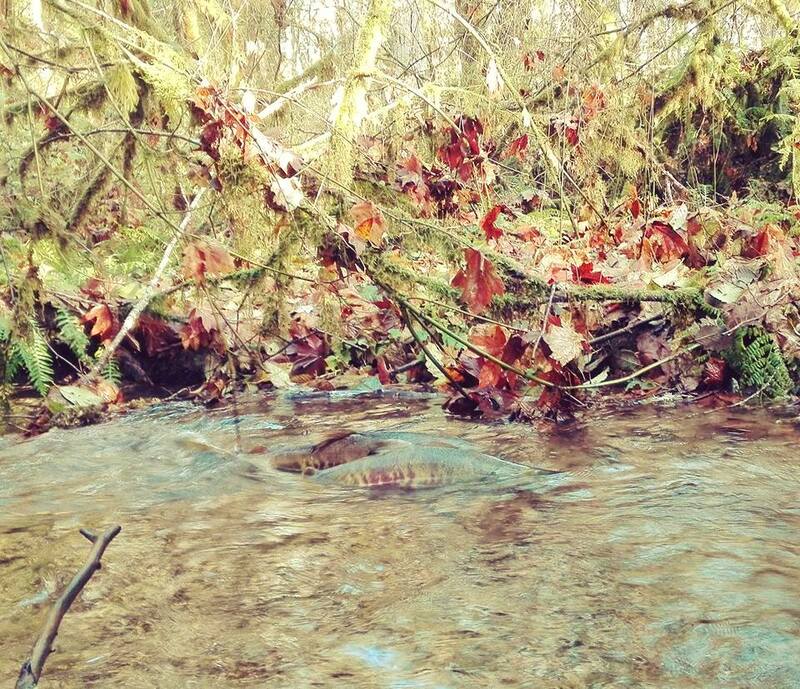 See wild chum salmon Kennedy Creek! Our 1.5 mile trail (3/4 ADA accessible) is a 20 year-old collaborative effort that gets YOU outside and experiencing the wonder of wild salmon! It’s free to visit, but donations are always appreciated. The Trail is open to the public on weekends from 10 AM to 4 PM, Veteran’s Day (observed), and the day after Thanksgiving. Our volunteer docents are on site to answer your questions, offer salmon expertise and direct you to the best viewing spots of the day!